Security breaches within businesses have become commonplace. There are now billions of cyber exploits every day, according to the 2017 Internet Security Threat Report by Symantec*. In 2016, these attacks were successful enough to expose over 1.1 billion identities, according to the same report. The bottom line is that 90 per cent of security incidents result from exploits against software defects, according to a CSO report attributed to the U.S. Department of Homeland Security. 2017 is on pace to set a new record for compromised identities, with more than 1,200 breaches recorded and 3.4 billion records exposed according to Risk Based Security’s Q1 2017 DataBreach QuickView ReportOpens in a new window. It’s not a matter of if a business will be attacked, but rather, when. Older endpoints are vulnerable because their technology only supports single-factor identity protection at the software layer, rather than providing a much more secure multifactor authentication solution rooted in the PC hardware. A common vulnerability is the use of weak or stolen passwords. 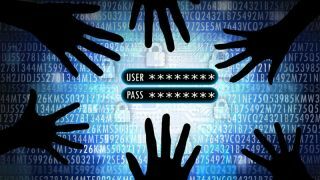 This is a problem, as more than 80 per cent of major data breaches come from password issues at the software level, according to the 2017 Verizon Data Breach Investigations Report. As part of the migration to Windows 10, companies can strengthen security today by upgrading to new devices powered by 7th Generation Intel® Core™ vPro™ processors with Intel® Authenticate deployed. This combination gives you customisable, hardware enhanced, multifactor authentication with biometrics, credentials and the IT policy engine all stored and executed securely in hardware – below the software layer where attacks are prevalent. More than 50 PC designs have been optimised for Intel® Authenticate since its introduction in January 2016. Our hardware-enhanced solution supports a range of customisable, hardened factors to fit specific business needs and integrates easily into existing environments.